We already know Katy Perry will be a judge on ABC’s American Idol reboot, but who will join her? Us Weekly reports former contestant Chris Daughtry will be a judge on the upcoming series revival. Daughtry finished fourth on season five of American Idol in 2006. Earlier this month, ABC announced that they are reviving the show for a new season. The long-running singing competition series ended last year after running on FOX for 15 seasons. ABC has not confirmed that Daughtry will be a judge for the American Idol reboot. Earlier, it was reported that the network wanted Kelly Clarkson as a judge, but the singer was just announced as a new coach for season 14 of The Voice. It’s also been reported that ABC has reached out to former host Ryan Seacrest to return for the reboot. For now, Katy Perry remains the only confirmed judge for the new season of American Idol. Original judge Simon Cowell was apparently asked but refused to return. What do you think? Are you a fan of Chris Daughtry? Will you watch the American Idol reboot on ABC? More about: ABC TV shows: canceled or renewed?, American Idol, American Idol: canceled or renewed? American Idol: Katy Perry Set to Judge ABC Revival; Will Simon Cowell Join Her? I am a fan of Chris and American Idol. I would definitely watch! I think Chris would make an awesome judge! 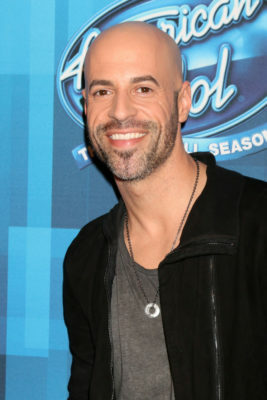 I am a fan of Chris Daughtry, but think Idol needs to be kept in the vault. It has run its course. Great idea! Love Chris and I think he would be an excellent judge.